In the final part of a three part series on the question of 'How can God allow suffering?' we had the privilege of hearing Jeremy Clark share his story of cancer, bereavement and faith. This recording takes an interview format. The interviewer is Dave Bish, Ministries & Training Coordinator. Followed by questions from the floor. 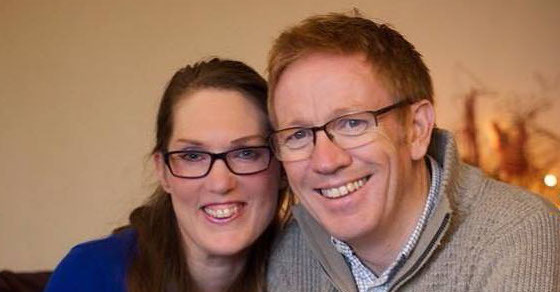 Responses from Jeremy and Catherine Clark, now part of Grace Church since Jeremy's retirement due to illness. Jeremy's story is available in written form on his blog: Tracing the Rainbow through the Rain. Some available next steps. Seminars on How can God allow suffering? are available for Community Groups. Borrow The Reason for God (Timothy Keller) from our Next Steps Library on a Sunday morning. Next seminar series: The Good God: An introduction to the Trinity. 7.30pm-8.45pm, Sunday July 12th, 19th, 26th, at the Grace Church offices.